The futurists of Silicon Valley may not have seen this one coming: The first commercial delivery made by a self-driving truck was 2,000 cases of Budweiser beer. 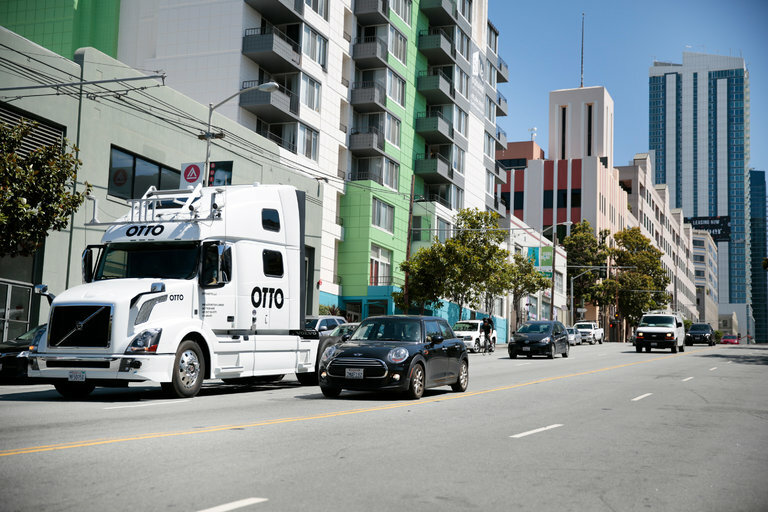 This week, Otto, the Uber-owned self-driving vehicle operation, completed its first commercial delivery, having delivered its beer load from Fort Collins, Colo., to Colorado Springs, a 120-mile trip. Otto said a trained driver was in the cabin of the truck at all times to monitor the vehicle’s progress and take over if necessary. At no point was the driver required to intervene. In recent years, Uber has predicted a future in which you can ride in a self-driving car that will take you where you want to go, no driver necessary. But the idea that commercial trucking could be done by robot is a relatively new idea — and a potentially controversial one, given the possibility that robots could one day replace human drivers. The delivery was indicative of Uber’s larger ambitions to become an enormous transportation network, one in which the company is responsible for moving anything, like people, hot meals or cases of beer, around the globe, at all hours and as efficiently as possible. An Otto truck on the road, with the driver’s seat empty. Annual U.S. trucking industry revenue topped $720 billion in 2015, reports The New York Times (Oct. 26, 2016). Anheuser-Busch, for example, delivers more than a million truckloads of beer domestically every year. “We view self-driving trucks as the future, and we want to be a part of that,” says a Busch executive. What are the implications for the logistics industry? 2. Why did Uber buy Otto?